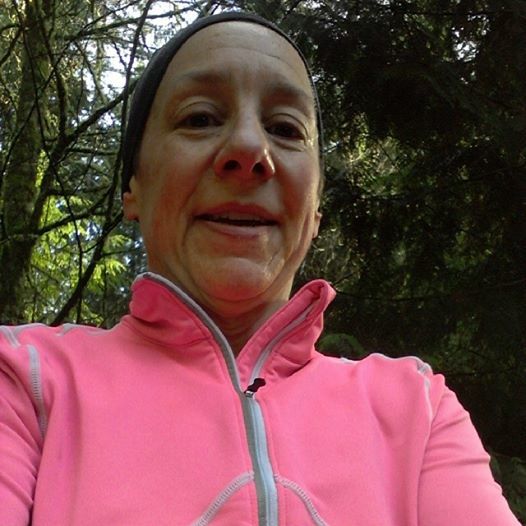 On Saturday I met Eastside Runners in Redmond and ran my first trail run. We met at the Water Shed. It was a 5 mile loop and it was either up or down nothing was flat. I really had to watch my footing but it was fun. After my run we went to Serious Pie in Bell Town. It is a Tom Douglas restaurant that has artesian pizza. 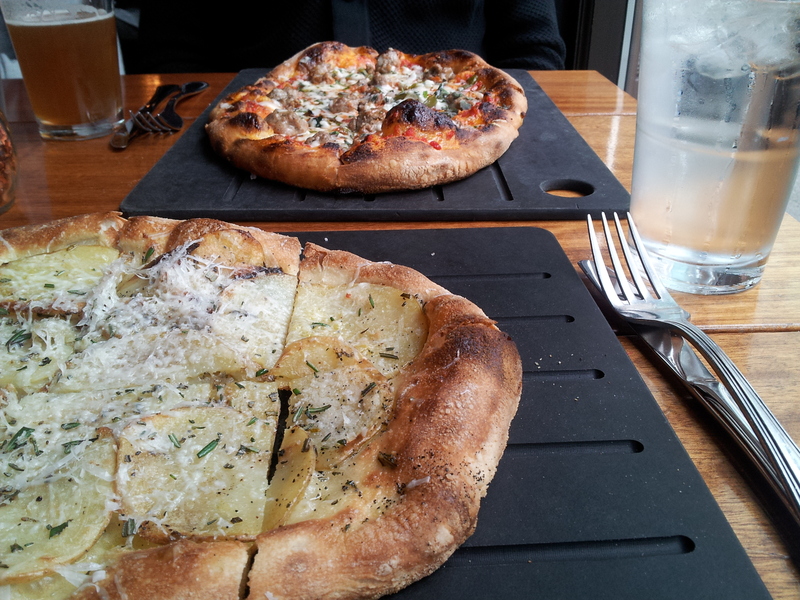 We got the Yukon gold and sausage pizza and both were excellent. It is not East Coast pizza but it was very good. We then walked up the street to go to Holy Cannoli. I knew they were not ricotta cannolis, they are cream based. We got 6 small cannolis about 3 bites. They are pricey at 6 for $16. The traditional was very vanilla tasting, but the other flavors were very bland. We had a hard time distinguishing the flavors. Even the chocolate only had a slight chocolate flavor. The shells were great tasting and crunchy. Overall they were pretty good, but pricey for what you get. Sunday was a 12 mile run on the Cedar River Trail and lots of football. Congratulations to the Broncos and Seahawks. It should be a great Super Bowl. This entry was posted in Uncategorized and tagged football, Holy Cannoli, Running, Serious Pie. Bookmark the permalink. Yum!! I’ve always wanted to go to Serious Pie! I think I need to use it as a reward after one of my upcoming long runs. The pizza was great! And the place is really cute.